Aluminium and Glass Folding Doors are contemporary way to transform your home and create stunning, light-filled living areas. Aluminium and Glass Folding Doors fold back towards the wall to completely open up the space and its good for long elevations. 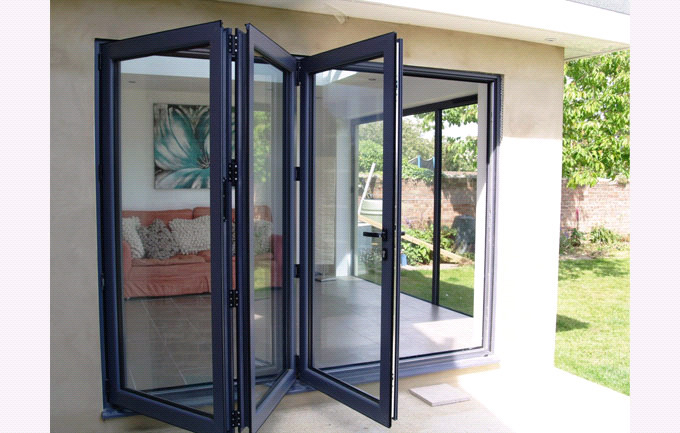 Aluminium and Glass folding doors feature unique high security finger trap functionality. Their continuous hinges allow for a seamless finish and their easy-glide brass wheel and track give you ease of movement.